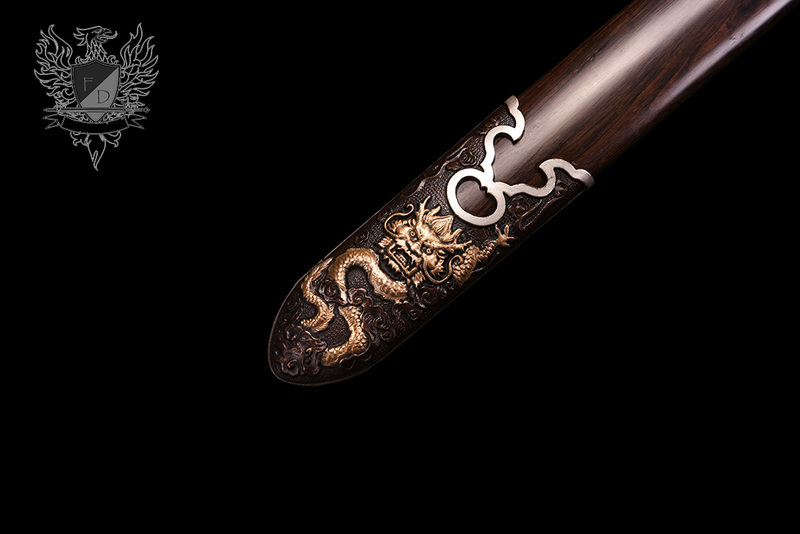 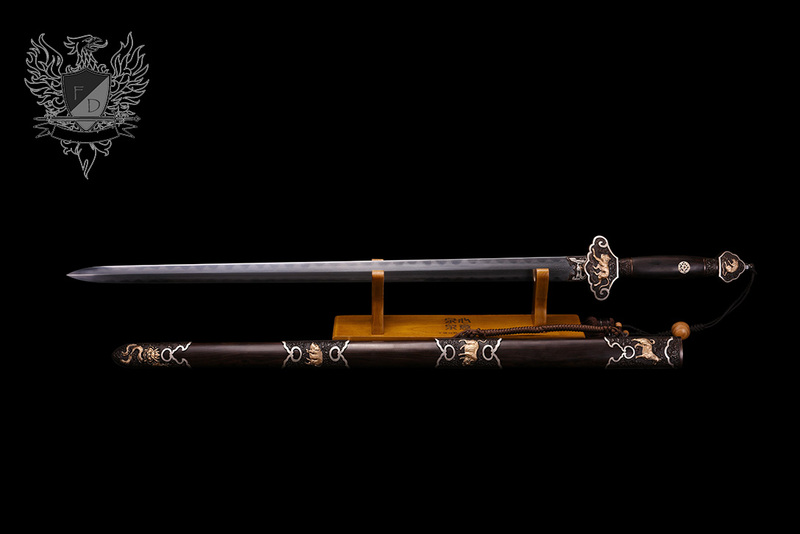 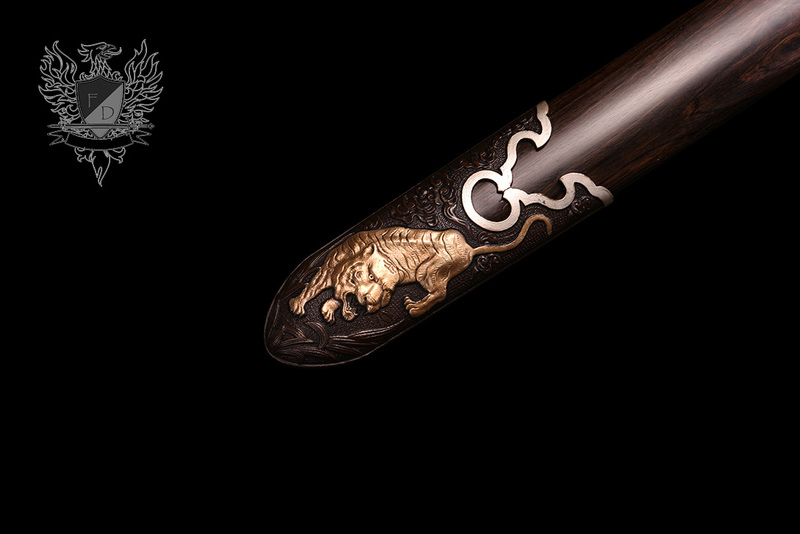 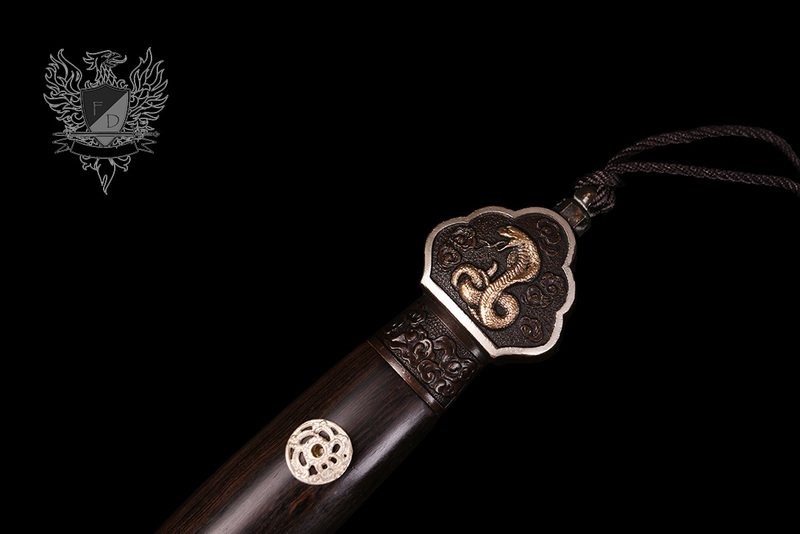 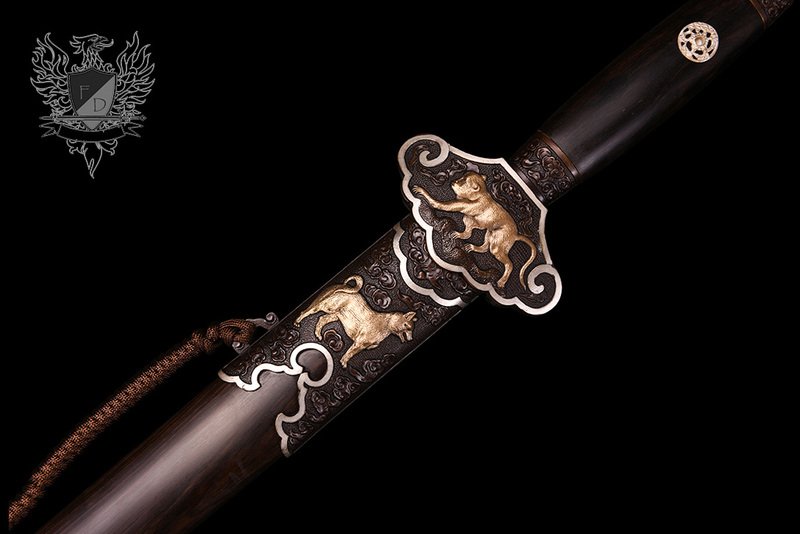 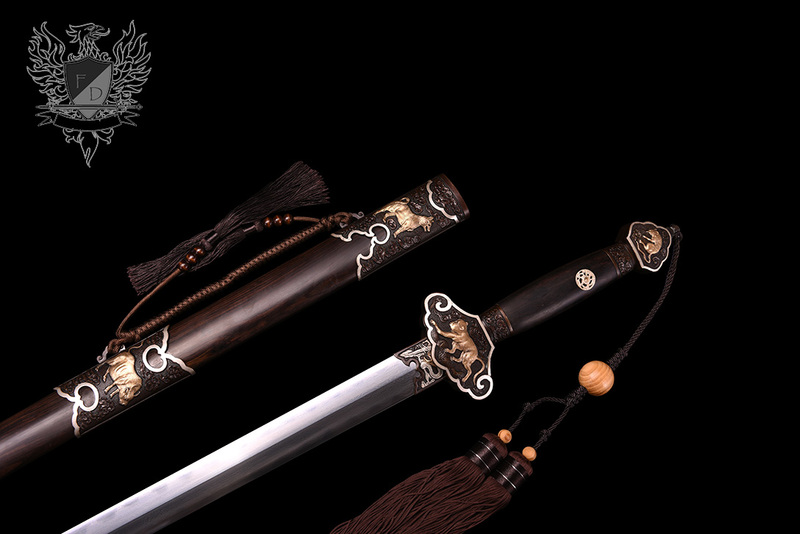 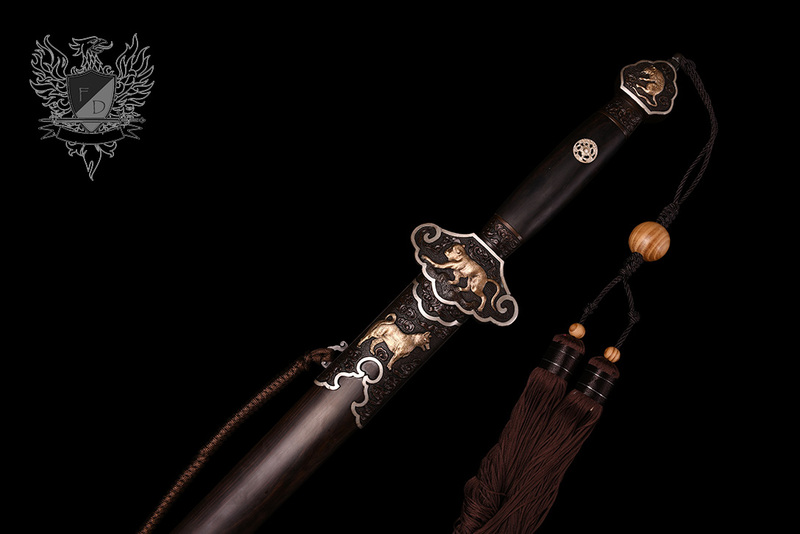 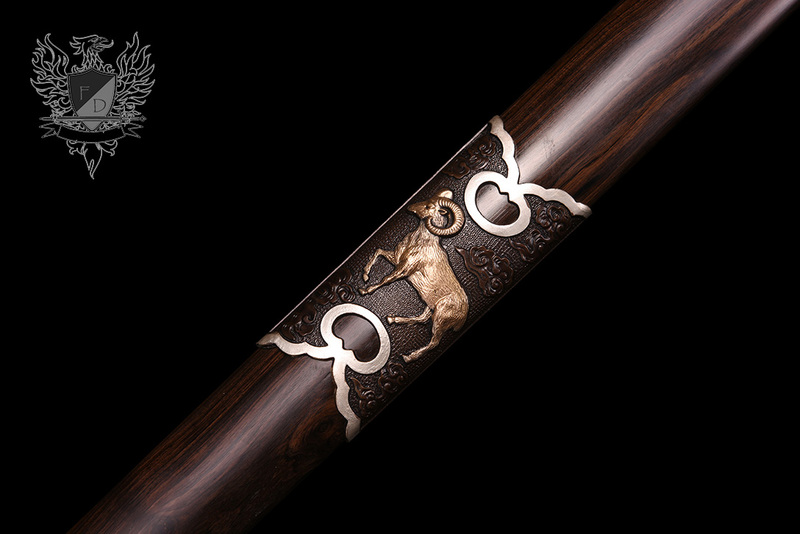 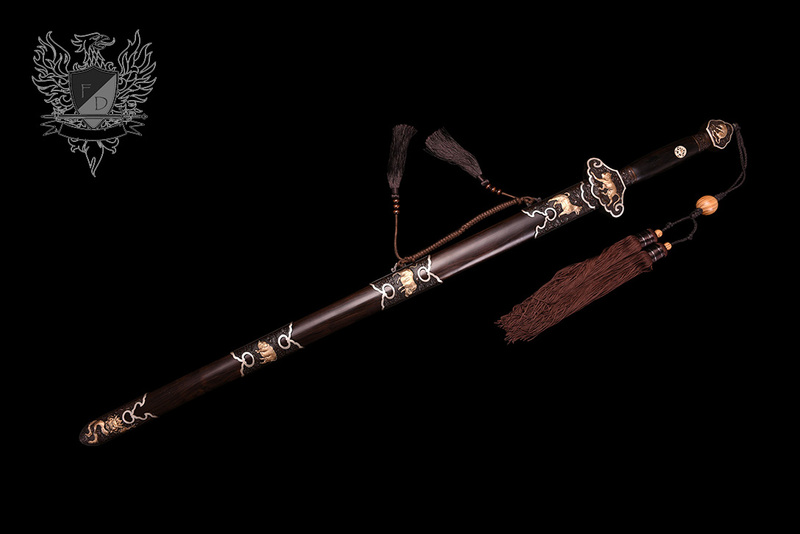 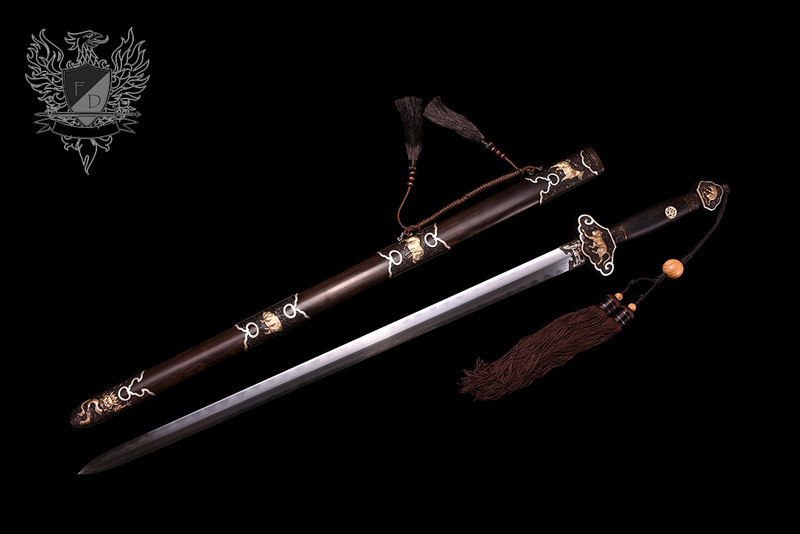 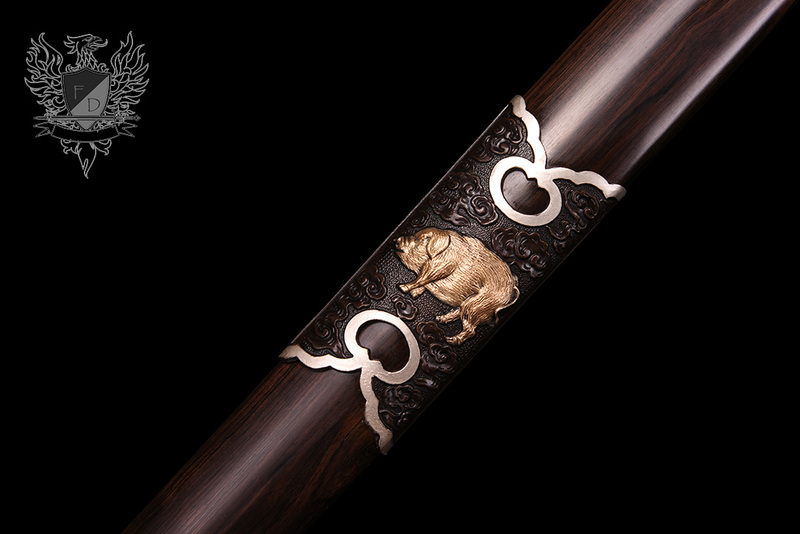 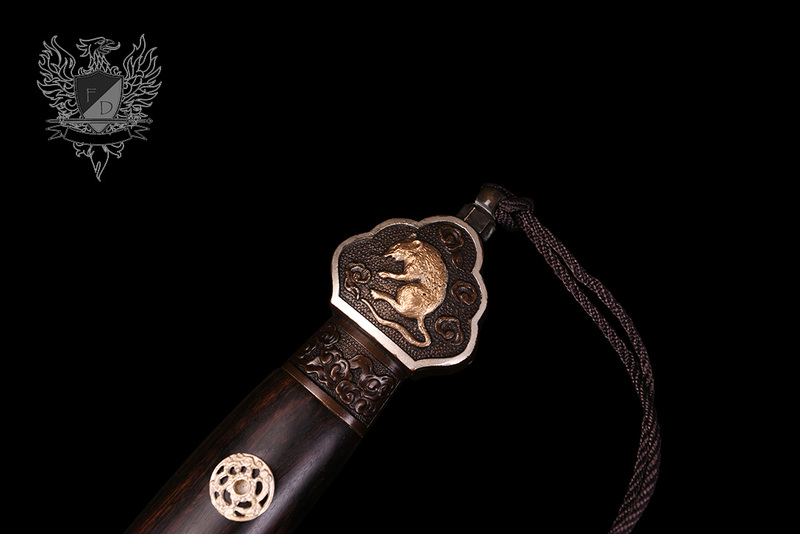 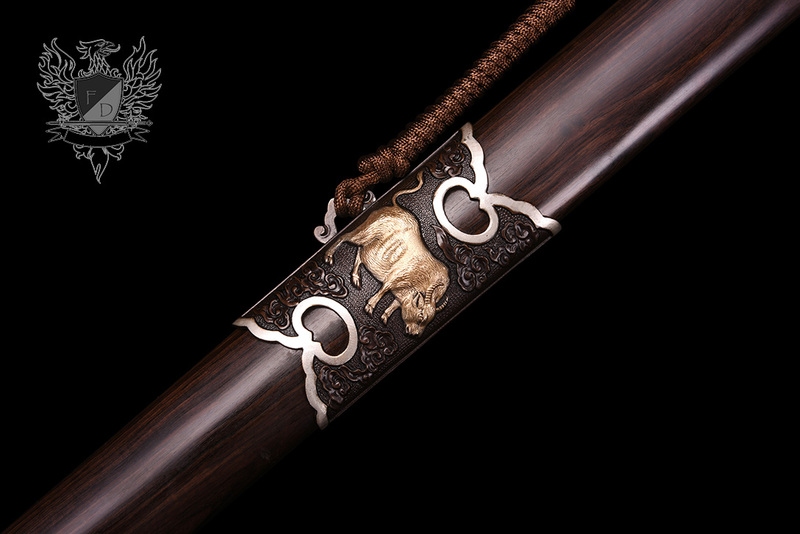 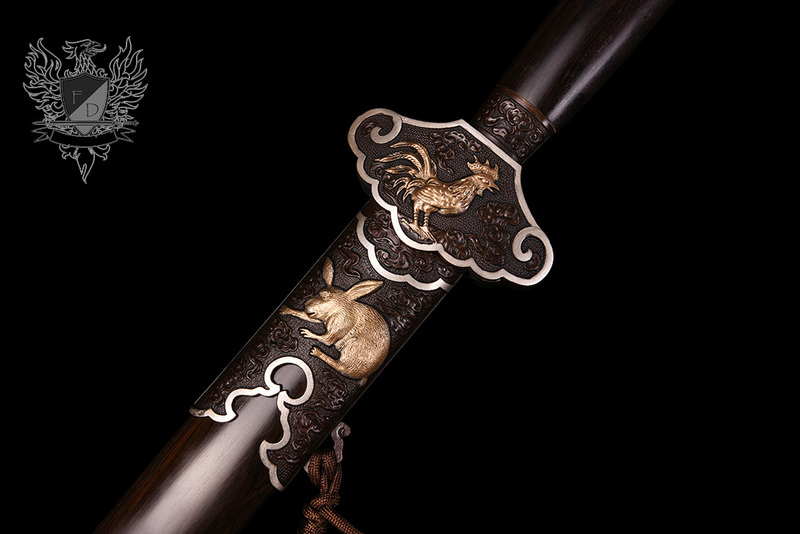 A fast in the hand, two handed blade of exquisite quality - the Shengxiao (Chinese Zodiac) Jian features all the 12 animals of the Zodiac: Rat, Ox, Tiger, Rabbit, Dragon, Snake, Horse, Goat, Monkey, Rooster, Dog and Pig in gilded real gold at strategic places along the hilt and scabbard. 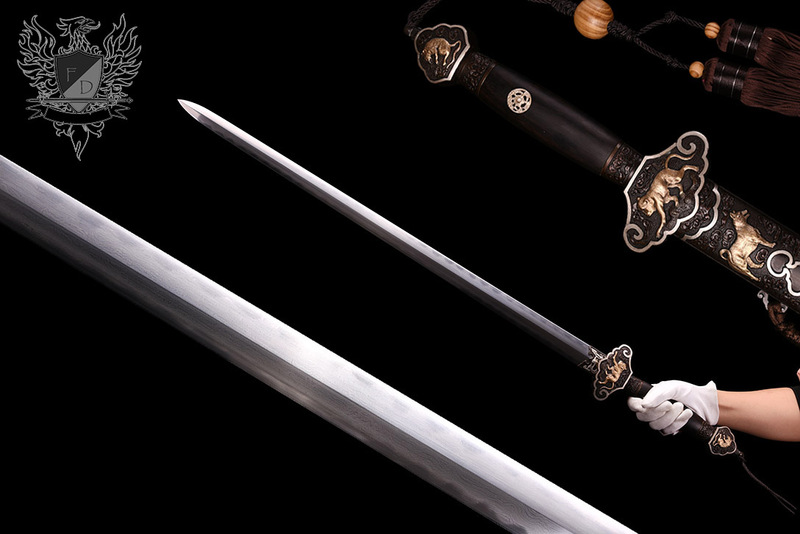 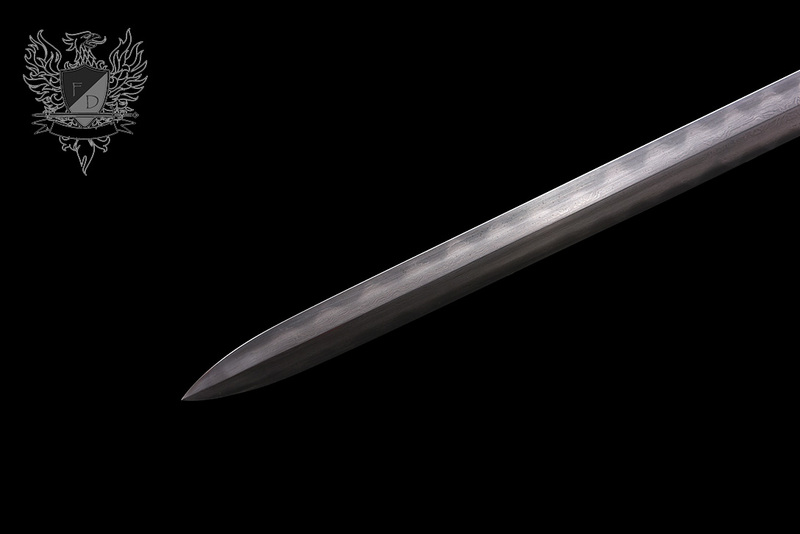 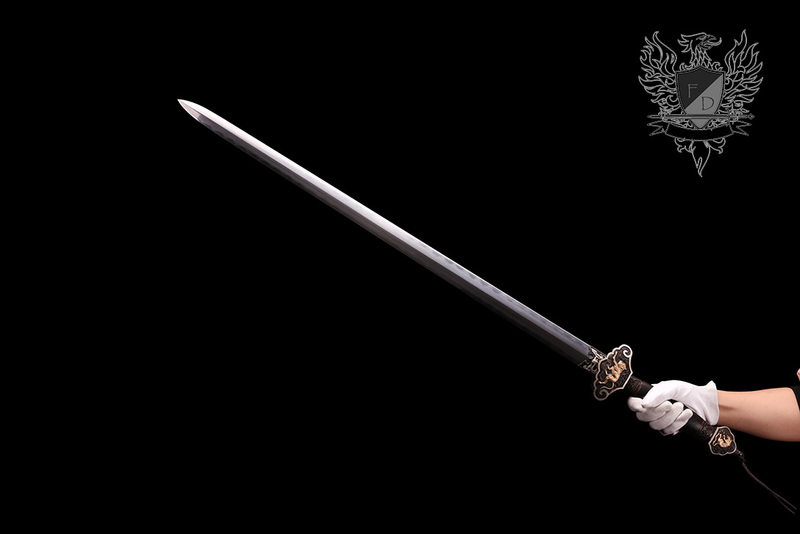 But while extremely attractive and ornate - the blade of this sword is truly the focal point, master smith forged and folded with a genuine tempering line from differentially hardening on both sides of the blade. 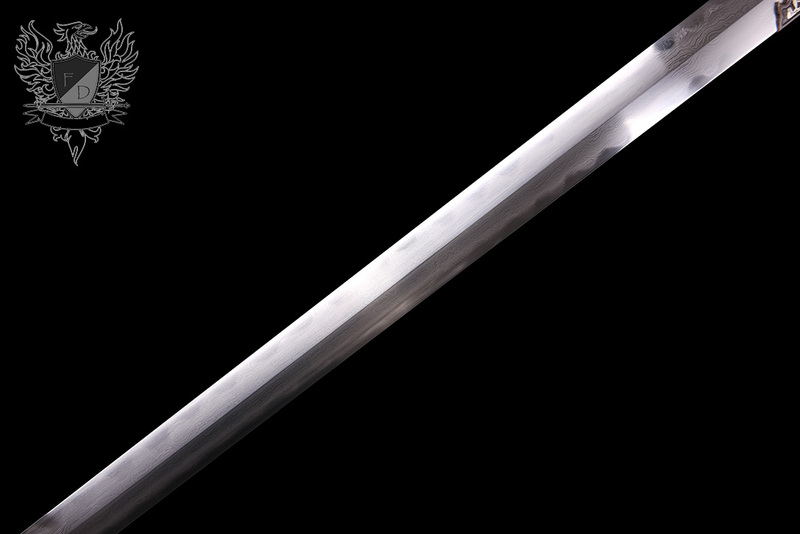 And with a weight of just 2.64lbs and balanced just shy of 4" from the cross guard, it is both fast and accurate when flashing through the air making it the ideal sword for both martial arts practice and display. 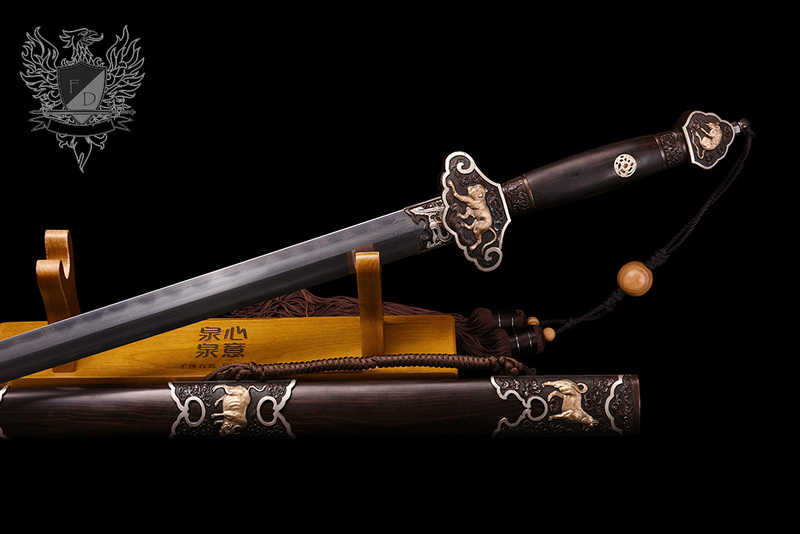 Mastersmith Forged, Folded and Sharpened 1095 Carbon Steel blade with differentially hardened blade and art finish polish. 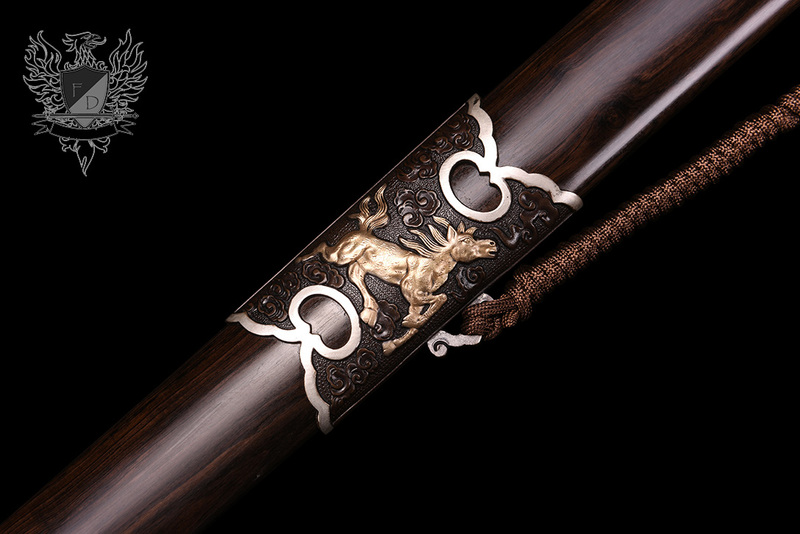 Premium black ebony and hand sculpted brass fittings with gold and silver gilding.